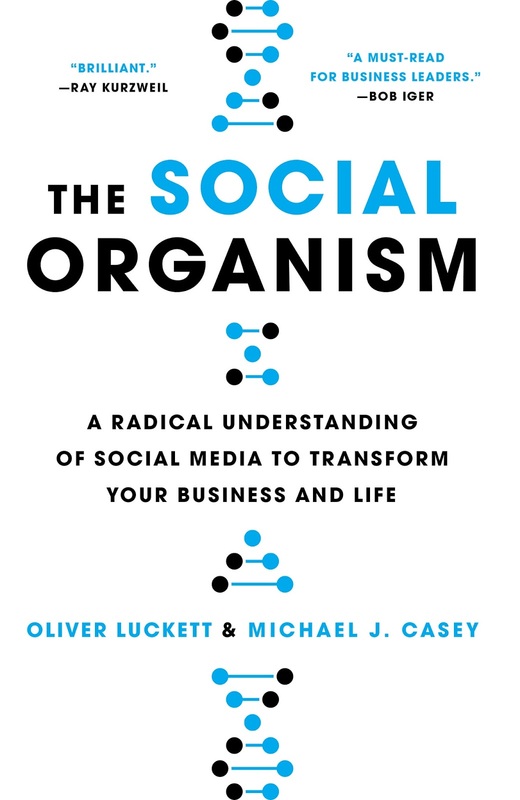 Social media expert, entrepreneur & author of The Social Organism: A Radical Understanding of Social Media to Transform Your Business and Life. As co-founder of three multi-million dollar start-ups, Oliver Luckett is frequently asked to speak on social media's impact on today’s world. But how, he used to wonder, could he best describe the interactions of millions of users, a complicated system of human connections? While hiking one day, Oliver had a flashback to his days as a microbiology lab rat--and a resulting epiphany: Social media is an organism; a living, breathing, evolving creature. The theory of The Social Organism was born. Leveraging the seven rules of sustainable biology as a metaphor for social culture, Oliver breaks down his revolutionary theory of social networks and how they mimic an actual biological system. Through personal experience, one-of-a-kind stories, tangible expertise (and yes, science), the theory of The Social Organism will illuminate how social media functions on a global scale with human culture evolving in tandem, and how to best harness this knowledge to gain competitive edge and master social media in both business and in life. Oliver Luckett is a technology entrepreneur who has served as Head of Innovation at the Walt Disney Company and co-founder of video sharing platform Revver. As CEO of theAudience, Luckett worked with clients such as Obama for America, Coachella, Pixar, and American Express. He has helped managed the digital personae of hundreds of celebrities and brands worldwide. He is also co-author of the best selling book The Social Organism: A Radical Understanding of Social Media to Transform Your Business and Life, a groundbreaking book that illuminates how social media functions on a global scale, how human culture is evolving with it, and how we can master digital content for good and for profit. In 1999 Luckett cofounded the firm iBlast Networks with former FOX syndication president Michael Lambert and former head of Universal Studios Ken Solomon, and following its founding Luckett served as the company's Chief Technology Officer. In 2005 Luckett cofounded the firm Revver, which was the first company to attach advertisements to amateur and professional Internet videos, providing the video makers with a percentage of the ad revenue. He then founded DigiSynd, a company that outsourced packaging, syndication and marketing for digital studios and other content creators. The company was purchased by The Walt Disney Company in 2008, whereupon becoming the Head of Innovation. Luckett is the cofounder and CEO of theAudience, a social media publishing firm. The idea for the company was developed by Luckett and William Morris Endeavor CEO Ari Emanuel. theAudience develops and publishes content across multiple social media platforms. William Morris Endeavor was one of the initial investors in the firm, in addition to City National Bank, and Napster founder Sean Parker. theAudience works with its clients to develop social content and publishing strategies. Content published by theAudience is seen by about one billion social media users per month. In 2015 he co-founded EFNI, a holding company devoted to sharing the values and spirit of Iceland with the world. EFNI is currently incubating HausMart (a self-service online store), Reykjavik Greens, Arctic Beauty, and in 2018 it launched NICELAND SEAFOOD which brings fully traceable fresh Icelandic seafood to the U.S.